Our staff is committed to delivering premium products and services such as knife sharpening to our customers. From round cornering knives to three knife trimmers, we have the skills and experience to improve the performance of your cutting tools. Standard Inlay, High-Speed Steel, and Tungsten Carbide knives are sharpened to help you get the best performance from your cutters. Our field technicians work with you in determining the best knife material and knife angles for your operation. Our state-of-the-art grinders and highly trained operators, following our ISO procedures, ensure consistent top performance from your equipment. Blades are kept parallel and cleaned prior to being returned to you. 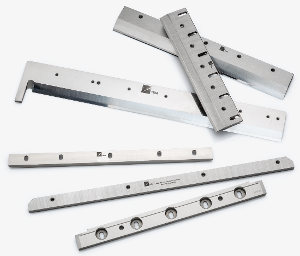 Our flatness and straightening services are available to keep your blades cutting true. 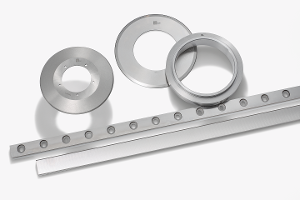 Our super-finish final honing process helps ensure reduced dust and longer knife life. 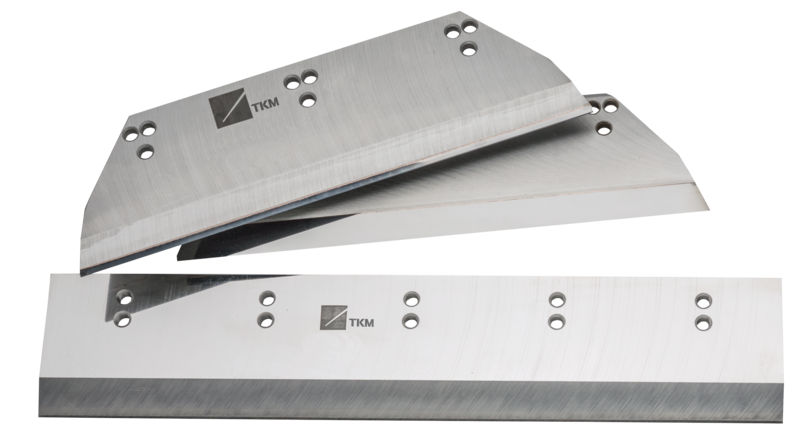 Precision high-speed slitters and sheeters demand the best in knives to cut the abrasive papers of today. Graphic Arts works closely with you and the knife manufacturers to ensure the optimum performance of your equipment. Our state-of-the-art grinders and trained operators maintain the accuracy of your knife bevels, and our highly polished finishes help reduce dust and prolong knife life. Sheeter blades are kept parallel, and slitters and bottom bands are double checked for runout. Whether the knives are high-speed steel, powdered metal, or tungsten carbide we will sharpen the knife to help you achieve top performance. 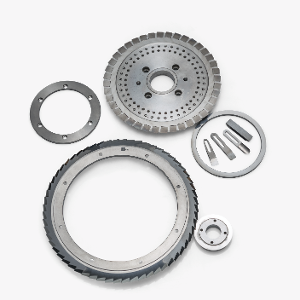 Using specially designed precision grinding machines, long pulp cutter blades are ground to close tolerances for parallelism and matched in pairs. Let us help you maximize your paper production. In addition to stitcher knives and three knife trimmers, Graphic Arts can repair and re-sharpen all types of bindery tooling. Book roughers, notchers, and milling heads are re-tipped when needed, and precision ground to close tolerances. Book saws and leveling saws are re-tipped and face ground for top performance. Braised and indexable teeth are replaced and sharpened to match the remaining teeth in the head. In some cases, we can furnish new, more efficient heads to replace obsolete designs to give better performance. Paper drills, round and square punch dies, round cornering knives, folder die blocks, etc., can also be re-sharpened by our professionals. Today's high production web departments often utilize inline trimming. Optimum performance of these rotary trimmer systems depends on very close tolerances for the top cutters as well as the bottom anvil rings. Graphic Arts has extensive experience re-sharpening and re-tipping both the braised carbide type and the replaceable tooth designs. Your trimmer heads will set up easier and last longer with a regrind from us. 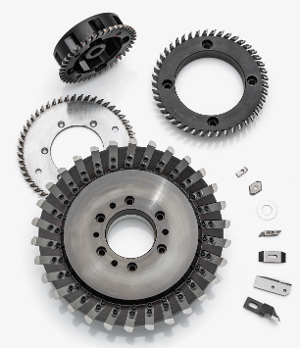 For your convenience, we can automatically replace tooling as it reaches manufacturer's recommended minimum sizes. Let us set up a re-sharpening/replacement system specially designed for your finishing needs.